But what about those regular patrons, regardless of their reasons for coming to the library, who are “difficult” in some way. That’s a catchphrase that can mean everything from “hard to please” to mentally ill. Public libraries serve a broad cross section of citizens, and we experience every kind of “difficult” you can imagine. We train regularly to deal with everything from complaints to outright paranoia. Lately we’ve been talking a great deal at my library about mental illness, because some of the behaviors we see every day seem to go beyond eccentricity (much as I’d like to explain, for privacy reasons I am not going to go into detail). This is something I’ve been telling my kids for years. They laugh, but I’m serious. In some way, every one of us does things that to another person seem strange, different, hard to understand, maybe even off-putting or alarming. Most of us are only just a little bit weird — we have a quirk or habit, a mannerism, or a personality trait that is close enough to the mainstream as to be mostly noticeable. But all of us are somebody’s weirdo. It helps to remember that. It also helps to combat compassion fatigue to remember that every person I engage with at the library, from those who are pleasant or “normal” to those who seem painfully strange or even a little threatening, is someone. Each of them is someone’s relative. Each of them is a person, not a problem. Each of them is looking for what we’re all looking for on any given day: a connection with another person. I’ve noted before that working in a library for me means being fueled by both “the conviction in my heart and the ideas in my head” (Bryan Stevenson, Equal Justice Initiative). If I can do anything at all to reassure and equip staff to deal with difficulty and difference, and also be present to patrons and coach staff to do the same, both my heart and my head tell me that’s my job, even if I didn’t learn it in library school. ** The most effective advice seems to be to to listen, smile, thank the person for sharing their thoughts/concerns/suggestions, assure them (and actually do) pass those on to your boss, and then politely get back to work. This gentle approach offers presence and validation to the person for a moment, but allows the staff member to extricate him or herself from what can often be a lengthy ramble or tirade. It lets the person be heard, but doesn’t promise particular outcomes, which is key if the requests are beyond the library’s means or mission. Yesterday, while my library was closed, I read about J.K. Rowling being outed as Robert Galbraith. I placed a hold on her book, The Cuckoo’s Calling, and looked forward to picking it up this morning. I got to the library about 45 minutes after it opened. The book had gone out to another patron who’d found it sitting on the new book shelf. The staff at the desk reminded me that this is our policy: if a patron comes to the circulation desk with a book, even one that’s been placed on hold by another patron, the hold is over-ridden and the patron gets to take the book out. Which had happened about 3 minutes before I came in. I had seen the book was available when I placed the hold and didn’t think about this scenario, or I would have arrived when the library opened. I knew the policy, but didn’t think about it. I ran my other errands and came home, feeling disappointed and a little put out, both with myself for not thinking about getting there when the library opened (anticipating the demand for the book), and with the situation. If a page had pulled the holds before I arrived, I could have taken the book out, because it would already have been on the hold shelf; likewise if I’d arrived before someone else who wanted the book, it would be on my nightstand. But this has been eye-opening because it made me see how easy it is to set policies on the staff side without feeling the impact from the patron side — this particular policy on paper seems fair and customer service oriented. Possession is 9/10 of the law, right? And it makes sense to try to please the person who is physically in the library and might get upset if you tell him or her the book is unavailable when clearly, it was on the shelf. Until I was the patron who saw the book still available (moments before I left home) in the online catalog and drove over anticipating picking it up, the policy was just a dry note on a page (and one I easily forgot about, since it doesn’t come up much for me when I’m working at the reference desk). Now it is a part of my experience as a library user, and it doesn’t feel so good. Which made me wonder, what else am I (and library staff everywhere) not experiencing from the patron point of view? Maybe part of staff training should be “patron for a day” exercises, requiring people to get out from behind their desks and use the library, to get a real feel for the “usability” of our spaces and policies. 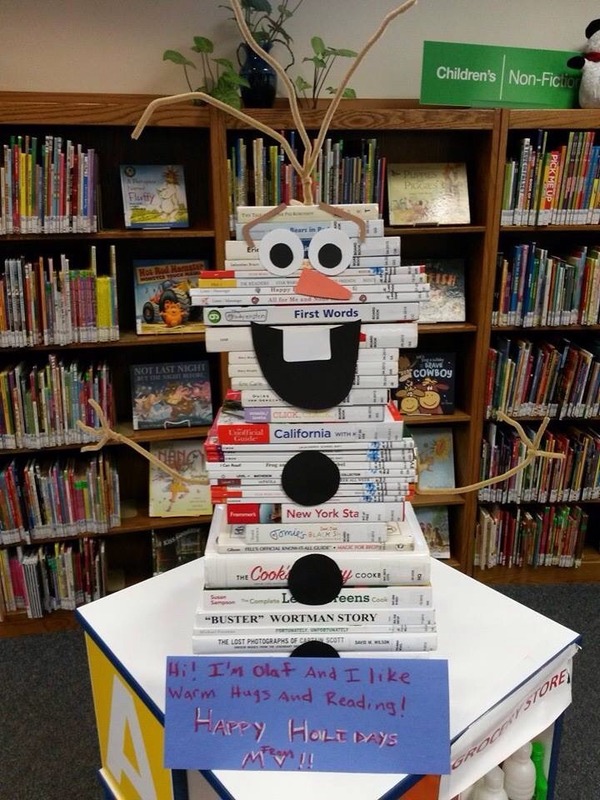 Do you do this kind of thing in your library? If so, how has it worked? Have you changed any policies, shelving, or other aspect of your library as a result of your own experience as a patron?